Find information about issuing bank, type, country of issue of the credit/debit and prepaid cards. What’s a Bank Identification Number (BIN) and why exactly should you care? A Bank Identification Number, also referred to as an Issuer Identification Number (IIN). It refers to the first six digits that go to making up the card number that appears on the face of every credit, debit, gift, or stored value card out in circulation. 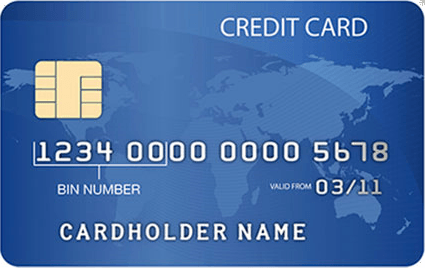 Card numbers are regularized according to international standards to ensure that no two cards on the planet will happen to share a similar bank card number. Now, bank card or payment card numbers will run up to a maximum of 19 digits, but what you should take note of here are the first 6 digits – the Bank Identification Number (BIN). These numbers specifically identify the issuer of any particular card held by any subscriber worldwide. What this means is that if a card was issued in the United States of America for example, and is presented for processing in any other country, this fact will be readily and immediately discernible. Security; whatever the nature of your life and livelihood, it more than likely resides at the forefront of your considerations. Modern living introduced us to the convenience of payment and value cards, but the flip side is that it also exposed us to more innovative and sophisticated forms of criminality and theft to combat. One of the safety features contrived towards this end is referred to as the Bank Identification Number (BIN). Never to be overlooked is this point of fact; the globalized nature of the world we reside in today allows and positively calls for international travel and transactions, so we are not trying to cast any negative aspersions here, but the benefits to your business of being able to immediately find out where a card presented to you was issued should be readily apparent. International bank fraud and identity theft cases skyrocketed with the opening up of the international financial, service, and mercantile markets, and so businesspeople are called upon to keep up with the times as best they can in order to safeguard their interests, reputations, and livelihoods. Our BIN checker tool offers a four-fold advantage. Should you be working within an industry with an international clientele, say, for instance, an online marketplace providing shipping, you really need to have a way of knowing if a prospective client is from the country they claim to be from. Owing to the fact that these types of transactions will take place online, with the only directly and immediately verifiable information being provided being the bank card number, prudence will dictate that the vendor take whatever means are available towards identifying red flags in client information. Prevention will always be better than cure, in our opinion. Many fraudsters rely on the time-span taken card acceptance and validation to make a clean getaway, leaving vendors running a loss. Online marketplaces allow for nearly instantaneous transfers of money and goods ownership, meaning that the ability to assess the validity of any Issuer Index Number (IIN) that is processed within your system would go a long way in upholding system security. As an integral part of the services we provide, the privacy and security of those who make use of our checker tools are guaranteed. We neither store, nor view, nor share any information or data that is run through our BIN search app. We entirely appreciate and share in the emphasis you place on discretion and our products reflect that with complete fidelity. We strove to make this tool as straightforward and functional as possible, keeping in mind the fact that our users are more likely than not better occupied with what will come next once they have received the results of their BIN lookup. Our extensive and ever expanding database of over 300,000 IINs translate to a very handy tool in aid of your operations. The clean, open interface only calls for you to input the relevant BIN in question and the results show up without any further ado because as they say, time is money. We believe that there is no more compelling reason to partner with us in ensuring your security than this: the time and money you may spend on a thousand BIN lookups may very well be less than one singular case of avoidable fraud costs you.